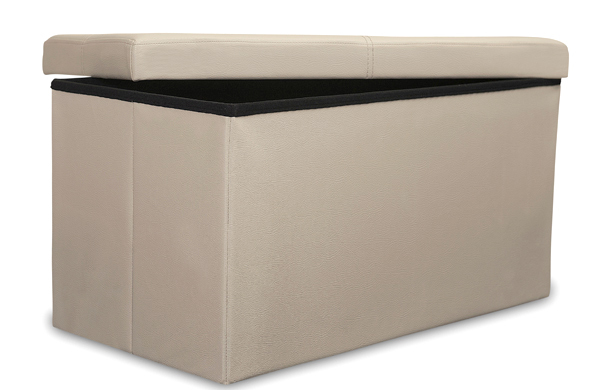 Ottoman Foldable Storage boxes are great as an instant storage solution. Simply unpack, pop up the box and put the lid on and done! This box features a faux leather finish which suits most types of rooms. (excluding the leopard print which is available in fabric). We have this available in several colours including black, brown, cream, fuchsia pink, white and leopard print. 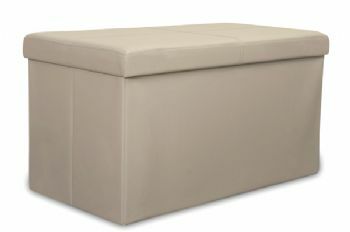 Though this storage box has a simple design, it is strong enough to be used as suitable seating for one. This product comes flat packed for quick and easy transport. This will require assembly.